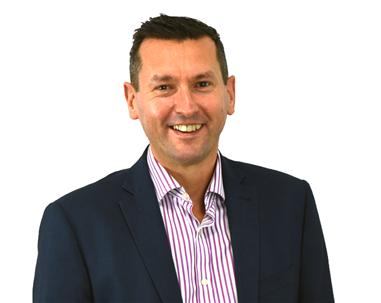 An increase in call centres and other-telephone based businesses has resulted in a larger percentage of companies using telephone interviews to review telephone manners and other skills of potential staff. However, telephone interviewing should never be a substitute for final face-to-face interviews – but they are a quick and easy method to identify the best candidates and discount unsuitable applicants. Telephone interviews are often conducted by employers who have regular and large intakes of staff – particularly graduate employers such as big accounting firms and large banks. If you want to learn how to conduct a good telephone interview check out our guide on that. There are countless advantages about phone interviews; they are both quicker and more convenient for you and the interviewee rather than arranging a preliminary meeting face-to-face. As sales jobs commonly rely and require as much personality/telephone skills and manner as qualifications achieved and experience. Nevertheless, phone interviews can be difficult because neither party can see one another and as a result the usual visual clues are absent. Telephone interviews are especially common for sales related jobs, particularly – surprise, surprise telesales where verbal communication skills are paramount. However they are used by other employers for preliminary screening of candidates for a wide variety of jobs. Telephone interviews can often be more beneficial for the employer than the applicant. Nonetheless, for a job applicant it is better to have a telephone interview rather that no interview at all. As in all methods of practice, there are advantages and disadvantages with telephone interviews. You may want to check out or tips on how to interview sales people as well! Telephone interviews are becoming more and more popular with employers where they are often more advantageous for you as an employer than potential employees. Employees that do get offered a job only from interviewing via the telephone may actually ask for a for a face to face meeting before actually accepting the offer. 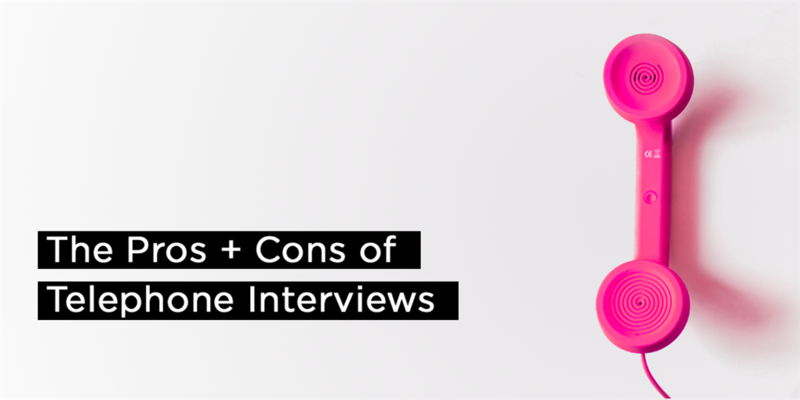 Phone interviews are a great way to secure top sales talent, but come with their pros and cons - as we've kindly listed below. Evidently a phone call is easier and much less costly than an in-person interview – especially if travel is involved for you and the employee, where commonly candidates expect the employer to pay for the travel costs that have incurred for them to attend the interview. If an applicant appears to fill the requirement but lives a long distance away, you can reduce your spending by telephone interviewing before spending a large amount of travel costs. This can be particularly relevant if the applicant is currently based in another country. A phone interview or screening session doesn’t usually take the place of an in-person interview. It is merely a means of learning more about the candidate and allowing the candidate to learn more about the employer and position available before both parties commit to the time and expense of an in-person interview. A number of different people can be reached in a relatively short period of time enabling you to be able to efficiently thin out applicants for further interviews. When screening candidates prior to an in-house interview there are a number of common interview questions for phone interviews that can be used. Phone interviews are also often used by specialist recruitment agencies acting on behalf of employers as the first step in the recruitment process “the preliminary telephone interviews”. Telephone interviews not only test the potential verbal communication skills and telephone technique but they test the potential employees ability to cope with the unexpected (this refers to both the unexpected phone call itself and unexpected questions). Rather than discarding promising jobs to applicants who live a long distance away – employers can now use telephone interviews an an acceptable and informative method of making first contact. Due to high levels of unemployment where employers are receiving vast amounts of job applications, telephone job interviews are becoming more the norm. It is often difficult to narrow the field down to a manageable and reasonable number through written applications alone. However, once this has happened the first step can often be a telephone interview where you as an employer are deciding whether or not you choose to look further into an application. This can work as a satisfactory and effective thinning out process. The inability to read body language is a major disadvantage of not having a face to face interview. If you can see the interviewee, you can ascertain whether or not they’re interested in the role and the questions asked. With a telephone interview is it very hard to make a judgement on how attentive they are. You don’t see them frown if you’re disagreeing with a point they may have made. You also can’t see them smile or in fact view any facial or body expressions... It really is a case of flying blind. A major disadvantage of telephone interviewing is that the respondent could unilaterally terminate the telephone interview without any warning or explanation by hanging up the phone (this could be for what seems as no apparent reason?). It is very difficult to use visual prompts during telephone interviewing. However, in some cases these may be used for example by sending through the prompt materials prior to a pre-arranged interview time by couriers, email etc. Without face to face communication and interaction it is often hard to indicate if you and the candidate have chemistry that would possibly turn into a binding work relationship. If you feel the applicant is right for your company arrange a time for a follow-up interview, don't lose an ideal candidate by making this mistake - here's some tips on how to make sure you don't lose the best candidates. For great advice on the complete hiring processhead to our 'Top Tips when Hiring' article. It is worth noting that video interviews permit many of the benefits of phone interviews, such as avoiding travel time/costs - and allow for visual elements to be conveyed. We've drawn up a neat guide on video interviews you may want to eye over. Telephone interviews can benefit your company by helping to cut down on your costs of interview venue, travel and subsistence allowance. You are then able to select potential candidates from CVs submitted, hear them speak over the phone, and further cut down on the size to a manageable number. Telephone interviews can help screen your potential candidates so you can then plan a one on one interview. It should be remembered that telephone interviews shouldn’t be used as the only interviewing technique – face to face interviews can help you determine further personal characteristics about the candidate which will help you decide if he or she would fit into your work organisation and culture. You may want to scan our 7 top tips for conducting brilliant interviews, to brush up on that perfect interview style.